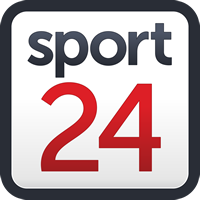 The Emirates Lions have confirmed that both Springboks Elton Jantjies and Lionel Mapoe have committed themselves to the team for another year. Both were in contract negotiations from February and signed on Monday on the dotted line. Mapoe was being courted by both the Bulls and Perpignan but chose to stay at the Lions. They join the likes of Ross Cronje, Warren Whiteley, Courtnal Skosan and Cyle Brink, who have all extended their contracts. The Lions have lost the services of Franco Mostert, Ruan Dreyer, Jaco Kriel, Rohan Janse van Rensburg and Jacques van Rooyen to overseas clubs this season. “The Lions Rugby Company can confirm that Elton Jantjies and Lionel Mapoe have both extended their contracts with the Lions for another year,” the Lions said in a statement.